Flashcard are a tried-and-true study tool. Whether you're preparing for a vocabulary quiz or studying for an AP exam, flashcards can help you memorize information, reinforce understanding, and retain details. However, not all flashcards are created equal. Learn how to maximize your study time by creating the ideal set of flashcards. On the front of the card, write one vocabulary word or key term. Center the word horizontally and vertically, and be sure to keep the front of the card free of any extra markings, smudges, or doodles. Flip the card over. You won't be doing anything else with the front of the card. On the back of the card, write the definition of the vocabulary word in the upper left hand corner. Be sure to compose the definition in your own words. Next, write the word's part of speech in the upper right hand corner. If part of speech isn't relevant (say, if you're studying for a history exam), categorize the word in some other way, e.g. by time period or school of thought. On the lower left hand side, write a sentence that uses the vocabulary word. Make the sentence creative, funny, or memorable in some way. (If you write a bland sentence, you're much less likely to remember it! On the lower right hand side, draw a small picture or graphic to go with the vocabulary word. It doesn't have to be artistic—just something that reminds you of the definition. Once you've created a flashcard for every term on your list, punch a hole in the middle of the right side of each card and hook them together for safekeeping with a keyring, ribbon, or rubber band. Keep blank index cards on hand as you take class notes. When you hear an important term, write the term on a card right away and add the answers later or during your study session. This process encourages you to reinforce the information you hear in class. Study the flashcards on a regular basis—preferably once a day for 1-2 weeks—before a text or exam. Explore different techniques, such as reviewing out loud versus silently and working alone versus with a study group. When studying with flashcards, make a small check mark on the corner of the cards you answer correctly. 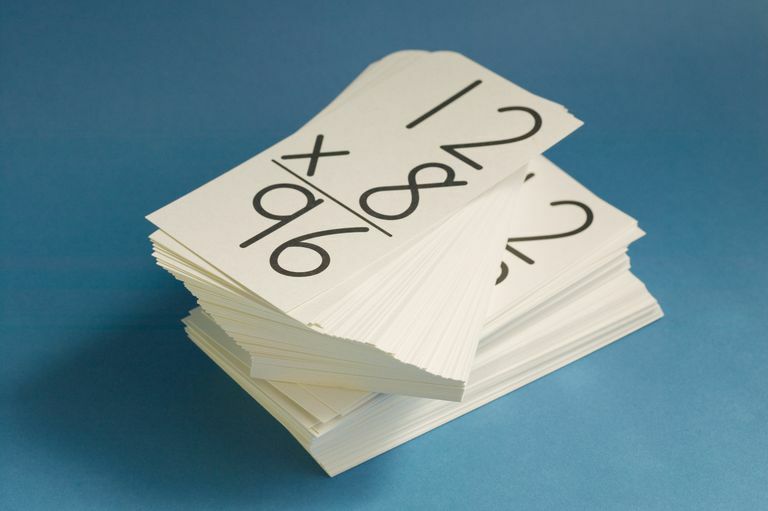 When you have made two or three marks on a card, you know you can put it in a separate pile. Keep going through your main pile until all cards have two or three marks. Then, shuffle them and put them away for your next review session (or keep practicing!). For classes that require you to memorize many definitions, like social studies and history, work with your study group to create a master list of terms to study using the glossary in the back of your textbook. If possible, color code the terms according to chapter. Create a matching game with your study group. Make separate cards for the questions and the answers, leaving the back sides of all cards blank. Place the cards face down and turn them over, one by one, looking for matches. For extra excitement, turn it into a competition by forming teams and keeping score. Play charades. Split up into teams and place all the flashcards in a hat or a basket. During each round, a representative from one team steps up, pulls out a flashcard, and attempts to get his or her team to guess what was on the flashcard by giving silent cues (miming and body language). The first team that gets to 5 points wins.